I can’t believe my third and final trimester is finally here. My pregnancy has literally flown by and in less than 10 weeks my little boy will be here. I couldn’t be more excited! I think this trimester is defintely one of the toughest, although I suffered quite badly in my first, this one I’ve also faced some challenges. I’ve suffered with Braxton Hicks which are basically practice contractions preparing your body for labour and wow! They are something else! After having them I’ve been seriously questioning how on earth I’m going to get through labour! At first I thought I was going into labour and paniked so much which probably made it seem a lot worse. The most painful thing for me were the back spasms and cramps. I have never felt anything like it so really struggled with how to cope with the pain. I definitely dont want to sound like all I’m doing is moaning, even though thats all I feel I’m doing at the moment! I guess I have to remember I’m growing a baby inside me, (whos about the size of a large cabbage!!) so of course it’s going to be tough. 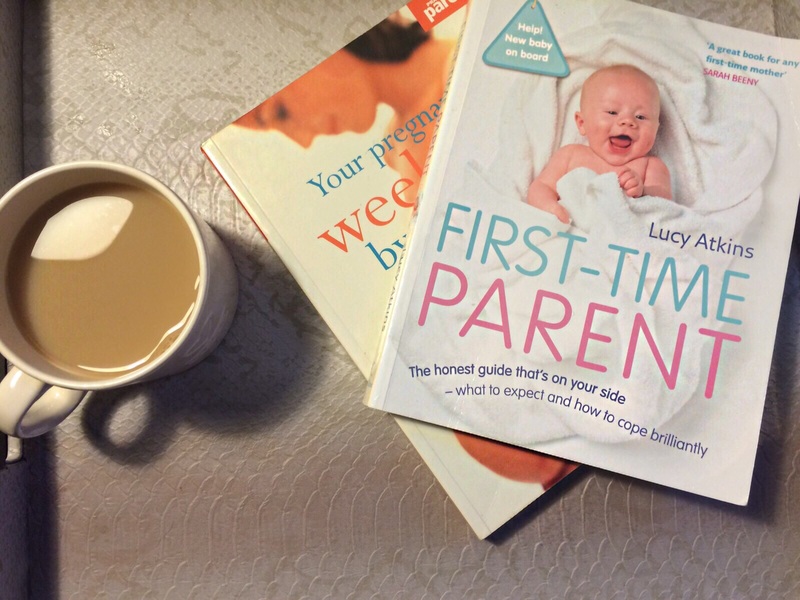 My favourite thing to do is relax with a huge mug of tea and read baby books. 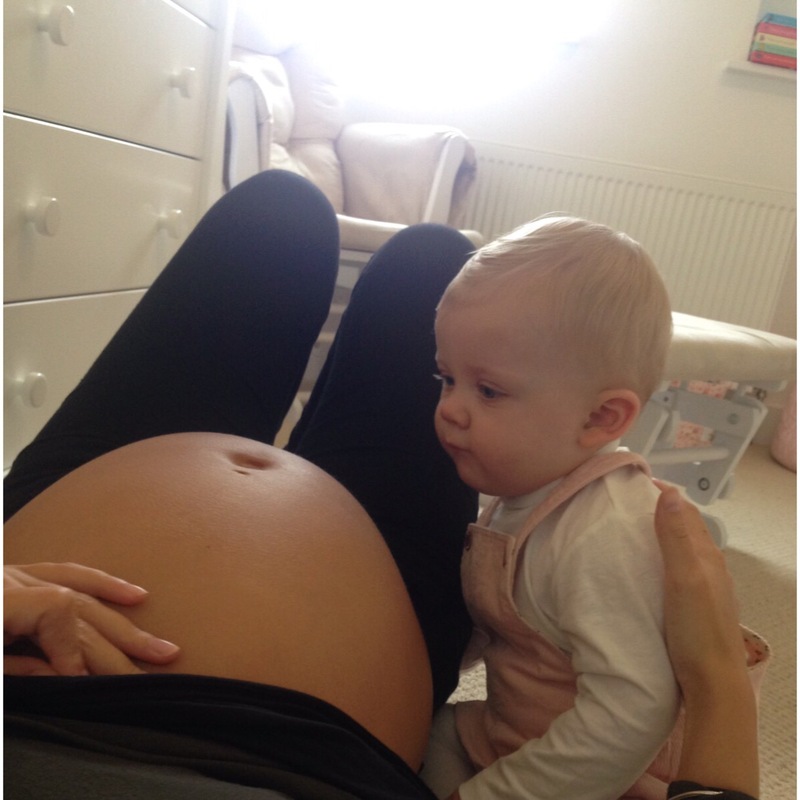 These 2 in particular I have loved through pregnancy and have some great tips. Mallory recommended them to me and I would definitely recommend them for any mums to be. One thing I’m really loving about this trimester is how much I can feel my babys movements, it’s incredible and I feel so connected with him. (even though it is sometimes painful!) It’s also been lovely for Korey to be able to feel him move a lot more, he loves it. The other day he felt his little hand which was so special. Korey has defintely been amazing through my whole pregnancy, he’s so supportive and understanding when I’m an emotional lunatic! Honestly how do I control the tears? I’ve been crying at the most stupid things and once I start I just can’t stop. I’ve come to realise this is completely out of my control and normal. It’s just hormones doing crazy things. It’s been really lovely having Mallory helping me through pregnancy too, as shes been through it herself she is really helpful with questions and advice. I’m starting to pack my hospital bag this month and buying everything I need for it so will do a post soon to share with you all. Mallory has given me lots of tips for this that I think lots of you expectant mums will also find helpful. I hope some of you can relate to my experiences of these crazy but amazing last weeks of pregnancy. I love hearing about your pregnancy journeys so please share your stories with me! Amazing blog.. Can’t wait to hear the hospital bag blog. I’m now 30weeks 1day pregnant with my first and was panicking I had left it to last minute. Relief to read this! I’ll need all the tips I can get.